The AXM Remote display integrates with the AXM 300 Series Wireless Scales to provide the weights in the cab at the touch of a button. The unit is comprised of a machined and anodised aluminium body with a tough polycarbonate face plate. The display is the same super bright LED used in our AXM / AXL gauges and can be seen day or night, from several meters away. 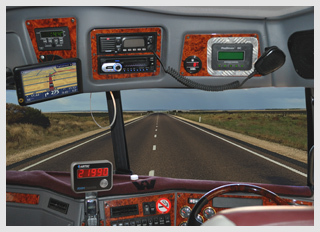 The remote is easily mounted inside the cab or to a suitable vantage point on the outside of the cab or chassis. 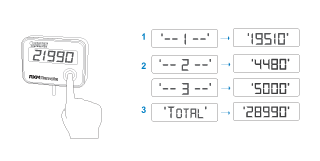 Axle weights for each group and GVM can be read simply via a quick press of the Piezo switch on the front of the unit. Mounted inside of the truck cab or at a suitable position for easy viewing. 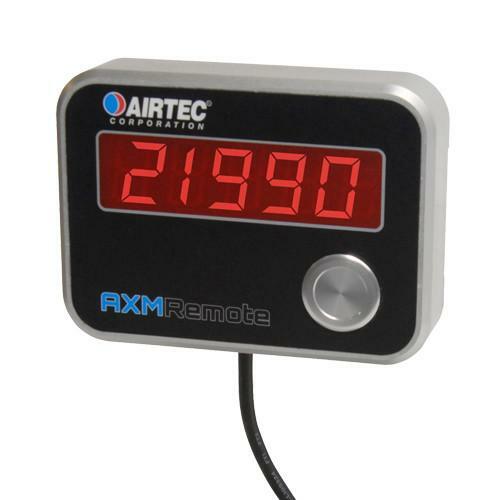 The AXM Remote display offers a fixed cable connection to the AXM Master Unit and displays information about each axle group, channel or total value via a piezo switch on the front of the Remote Display.